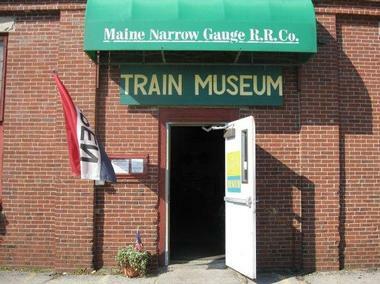 Based in the Portland Company Marine Complex in Portland, Maine, the Maine Narrow Gauge Railroad Museum is dedicated to showcasing the history of Maine's two-foot gauge railway and the equipment used in its time, and preserving its rich heritage. Established in 1993, the museum is home to a range of excellent exhibits and displays that highlight the history of Maine's narrow gauge railway system, as well as several historical rail cars and restored locomotives and coaches. The Museum contains a fascinating collection of artifacts, rolling stock and various other narrow gauge railway items that were primarily used in the state of Maine between the late 19th and early 20th centuries. The Museum also features a scenic railroadtrack that runs parallel to the Eastern Promenade along the waterfront to the pretty Bay of Casco, and visitors can enjoy a panoramic waterfront train ride after visiting the museum. The Museum presents a range of events and programs throughout the year for visitors of all ages. Young visitors can enjoy 'Children's Story Time,' which involves a reading of a children's book or two inside the museum and a post-reading activity. Mechanically minded guests can try their hand at being a diesel engineer and enjoy a hands-on experience as they operate a four-axle diesel-electric locomotive that as built by General Electric in 1949 and weighs over 20 tons! Popular fun-filled events that occur seasonally include Rails 'n Ales, a beer-tasting train ride along the waterfront supported by some of Portland's award-winning breweries, and the Ice Cream Train, where visitors can enjoy a free ice cream on a scenic ride along the waterfront to Casco Bay. 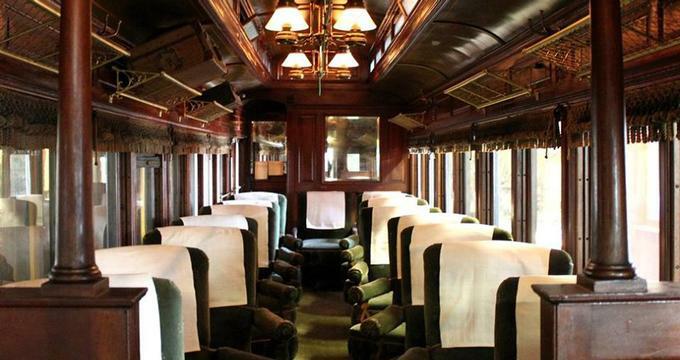 A new venture on offer at the Museum is a wine-tasting and sunset train ride. Partnering with Sommelier Erica Archer, the event includes a sampling of five different wines paired with delicious snacks as the train meanders along the Portland waterfront at sunset. Museum docents are on hand to present a historical background of the railroad before ending the evening at the museum. One of the most popular events of the year at the Museum is The Polar Express™ Train Ride. Held every season, the festive train is bedecked in holiday decorations and after meeting the Conductor of the train, visitors snack on hot chocolate and cookies as they listen to a reading of the story as they journey to the "North Pole." Santa joins the children on board to meet and greet and sing along to festive carols. 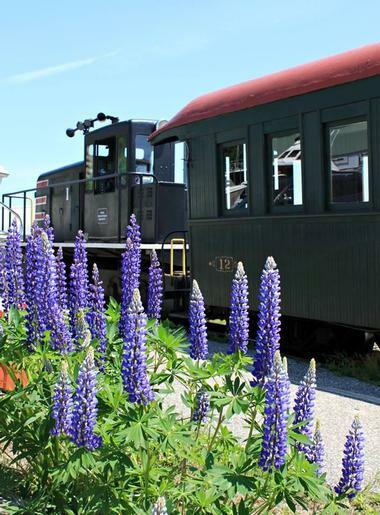 The Maine Narrow Gauge Railroad Co. & Museum and its train are available to rent for special occasions such as birthday parties, weddings, and private charters. The 'Birthday Coach' is located inside the museum and table, balloons and coloring activities are provided. Wedding train charters can be customized according to specific needs for almost any group size and is handicap accessible. The Maine Narrow Gauge Railroad Co. & Museum willsoon be relocating to the town of Gray to enjoy greater space and expansion of both the railroad and museum building itself. The new museum building and train station will occupy over 13,500 square feet and house state-of-the-art exhibits, displays, and presentations, including a replica of Randolph Station. Additional facilities at the new museum will include a 12,500 square foot car barn, 5,000 square foot engine house and restoration workshop. There will also be over three miles of track on which the train will run between Portland and the Lewiston Interurban right-of-way. The new facility will feature outdoor picnic facilities, walking paths and open-air green space for visitors to relax and enjoy.